I’ve had a dream like forever, to collect blankets each winter and drive around town giving them out to the homeless. Being from Chicago, I always pictured Lower Wacker Drive, where many homeless used to congregate to be somewhat shielded from natures elements. For likely over a decade, it’s been on my mind, but I reasoned my way out of it year after year, thinking of all the reasons it wouldn’t work if I organized it myself. But tonight something changed in me. Tonight, I accepted that the idea didn’t necessarily come to me for me to do it on my own. It wasn’t until I mentioned it to a friend who IMMEDIATELY said, “Let’s do it” when I mentioned it to her last year that I even began to see it as possible. Tonight, that same friend told me she’s been collecting blankets, grabbing a few with her last few paychecks and told me she wants to do it on Thanksgiving! Why didn’t I think of that? … the question everybody asks me more than any other once they meet me and have learned of my book is, “What motivated you to write I’m Proud to Be Natural Me! ?” And I always graciously smile, think for a second, then give them an answer that is definitely true AND missing some critical parts. My answer to the question usually goes something like this. “Well, I wrote I’m Proud to Be Natural Me! because I have always had a problem with the way people of color—particularly Black people—place value judgments based on physical characteristics such as skin tone and hair texture….” Depending on how talkative I am feeling at that particular moment, I may add another personal truth… that I wrote the book because I feel like our generation and the one before us (the “say it loud, ‘I’m Black and I’m proud. '” generation), have “missed the boat,” and left our children with a really distorted sense of self. A lot of us don’t know who we are, don’t accept who we are, or just discovered who we are somewhere in our thirties, and I just felt that the kids needed a fighting chance. By starting at such a young age, I can give them a firm foundation of healthy self-esteem from early childhood, rather than spend their teenage years trying to repair damage that was done likely before they even turned 6. Anyway, I digress… the point is that although the topic and motive for desiring to write this book came from those desires for change, the urgency came from an unexpected life transition…. I wrote I’m Proud to Be Natural Me! because I was desperate…. I was happy as a stay-at-home mom, to my beautiful one-year-old (at the time) and decided that if I designed natural hair t-shirts and inspirational products online, I could work from home. The products in my online store became the original I’m Proud to Be Natural Me product line. (Most of these products are still available in my store http://www.zazzle.com/mdillondesigns.) Well… without disclosing all the details, I will say that two days after I opened that store, I went from stay-at-home mom to single mom. Without a dime to my name, set to be evicted from our apartment in less than a week, I turned to my family and they graciously took me and my little girl in. The photo of us that is posted on many of my social media pages was taken just weeks after this major transition. I put on a brave face, went to the now closed Sears Portrait Studio in River Oaks, and did a photo shoot with my daughter to celebrate her turning 2 years old and us being alright no matter what… At a time when I could have broken down and decided to be depressed and not be there for my child, I pulled it together and “kept it moving.” I stayed up late and got up early, working many nights with my daughter sleeping across my lap, and even more nights with her cradled in my arms as I designed the little girls you see displayed in my book and on my products. For a year I stayed up creating these items in my online store, that in my head would be our ticket to independence. I would post products constantly on social media thinking to myself, “People know I’m a single mom. They’ll buy my products. We’re gonna be alright.” Ha! No such luck. Well… we are alright, but the products didn’t sell…. yet. When I finally completed the book, self-published it via CreateSpace, and saw my “Look Inside” preview on Amazon, I KNEW we were about to take off! But that didn’t really do it either. So, I said to myself maybe I’m not giving back enough, promoting enough, doing enough and began to fill in those gaps, of course, while working a “regular” J-O-B. And finally, I thought to myself after listening to many of my personal development CDs, I think I know what’s wrong. I have negative energy around my book. I need to revise it and add the missing pieces that are causing me to put out a vibe in the Universe that no one should buy it. I was desperate. Did that. Sales? About the same. Anyway…. I hope that through my story you may gain some hope for your own journey. Doing the thing that is in you to do is not always easy, but sometimes these unexpected transitions help us discover our gifts, realize our passions, and give us the boost we need to pursue them. Wanting my own helps me press forward toward making my book a best seller. Needing to ensure my daughter has an easier path motivates me to press through when I want to give up. No matter what I’ve been through, I have always returned to the belief that “all things have purpose.” Had I not experienced all I did, there would be no I’m Proud to Be Natural Me! So, if for no other reason, my rough spots have allowed me to produce something that is helping children come to embrace the truth of their beauty, a realization that alters all aspects of life. 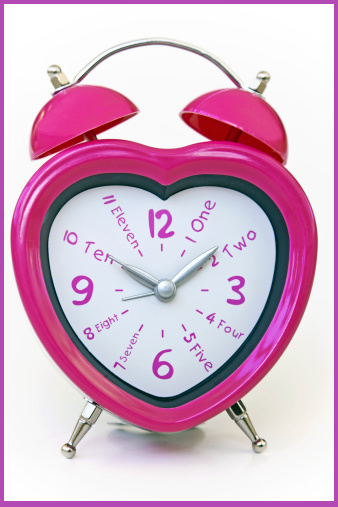 Have you learned from a life challenge? Have you come to learn your purpose through a perceived setback? I’d love to hear from you below! If you are interested in any of the products/services I mentioned, here are some links. Buy a book OR purchase books for each student in your institution/organization. Order customized I’m Proud to Be Natural Me! tees for the all your stylists and employees. If you are a blogger or vlogger, encourage your followers to shop at my stores and purchase my book. Visit/call your local bookstores and ask them to carry I’m Proud to Be Natural Me! …. or and you can make a donation (of any amount) by clicking the button below. My passion for sharing the message that “we are ALL beautiful as is” has not changed. I’ll be speaking at a daycare this evening on Chicago’s South Side. I am not discouraged by a long shot. I know things are coming together and… my child eats everyday. 🙂 I will continue to visit daycare centers and schools looking for opportunities to empower children with the message I believe with all my heart I was sent to teach. I am also planning a multicultural parenting workshop to be held in the Hyde Park area, to addressing the challenges of instilling healthy self-esteem in children of multicultural heritage…. It’s just that while continuing with my purpose I am also ready to live my life full out… to tell people “you can live your dreams” knowing that when I step down from the podium, I am a very clear example of how true that statement is. 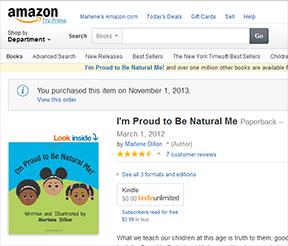 Marlene Dillon is the self-published author of the empowering children’s book, I’m Proud to Be Natural Me! She is a single mom on a mission to inspire others by living fully and purposefully, and by sharing her gifts and her story openly. Through powerful workshops she mentors young girls, and teaches parents and children how to build healthy self-esteem and confidently pursue their passions. If you find value in what Marlene is doing and would like to make a monetary donation, rather than purchase products, you may do so securely via PayPal by clicking the “Make A Donation” button below. For the month of September (2014) I will be doing my Scared Great challenge, again! 30 Days of “feeling the fear and doing it anyway.” I am confident that at the end of this I will be well on the way to achieving my major goal for the end of this year. How exciting! 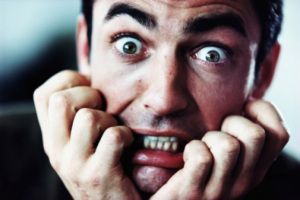 If you’d like to do the 30 Day Scared Great Challenge with me, please do! And share your growth in the comments! YouTube Earl Nightengale’s 30 Day Challenge and you’ll gain insight on a great way to maximize this time. Blessings to you, Marlene Dillon, author of I’m Proud to Be Natural Me! I AM PRO-SHRINKAGE! I don’t even call it “shrinkage.” I think it’s one of the coolest traits of my natural hair. I call it “springiness.” I love how when I pull on my twists, they bounce back. It is a personal pet peeve of mine to see the shrinkage shots. You know the pics where a beautiful natural woman, with the most amazing curly hair, is tugging at one of her coils to show how disappointed she is with the hidden length of her hair? It only bothers me because so often women of color, well Black women, place a lot of value on hair length. It doesn’t matter how beautiful, healthy, bouncy, hydrated the curls are, if it shows 5 inches and it’s actually 12, she’s pissed and hates her hair. I just wish we would embrace all the awesomeness of our hair. This is not just true for Black women. I see the same with women of other “races.” I’ve had so many friends with hair down their back that complain that their hair grows too fast. “Ugh… I just cut it!” Or women with the natural curl pattern that many of us attempt to mimic with a twist out (yeah, I said it), complain about just wanting to straighten it. *If you are in the Chicagoland/Northwest Indiana areas, click here contact me about my empowering girls’ mentoring workshops. I would love to visit your institution! If you find value in what Marlene is doing, and would like to support her efforts, please use the link below to make a secure donation via PayPal. A gift of any amount is greatly appreciated. Every morning at 6:30 my Pandora app turns on and shuts my phone down. One by one my apps begin to crash the second that app opens. So every morning at 6:31 I reboot my phone. Like clockwork, this morning, with my eyes closed, still super groggy, I fumbled around in the bed until I found my cell. Immediately I began pressing and holding the side of the phone, attempting to turn it back on (before I fell back to sleep). It wouldn’t turn on. I pressed and held it again and nothing happened. Then, I realized my finger was not on the POWER button. I was applying the RIGHT amount of effort, but in the WRONG place. I think life is like that. Sometimes we are working our butts off, trying to make something happen but our effort is being applied to the wrong thing. For a very long time I did all my I’m Proud to Be Natural Me! promos on my personal FB wall. No likes. No comments. No movement. A few faithful friends and family would like a post here or there and some consistently, but I was making no progress. I want to share my message with the world. It wasn’t until I began to branch out and apply effort in new areas that expansion has occurred. This epiphany is possibly more for me than for you. A call for me to spread my message, that “we are ALL beautiful as is” in areas where my effort is best received. I expect with this simple adjustment, expansion is inevitable. I’m about to hit the power button. I’m Proud to Be Natural Me! is about to take off. Are you ready? Our children learn more from what we do than from what we say. They are little lawyers constantly looking for evidence to support what we claim is the truth. Don’t believe me? Try reprimanding your child with a smile on your face and see how effective it is. They watch us to see if we truly mean the words we speak. I cannot fully tell my child to believe in herself when it is evident that I do not believe in myself. I cannot tell her to love her hair and it is obvious to her that I am ashamed of mine, or see it as my casual style, but not appropriate for “dressy” occasions. Have you seen the news story by WPTV News that speaks about the reasons many Black women are “going natural?” I truly commend Rochelle Ritchie for publicly addressing this topic and the huge commitment she made. This video really stirred me because it speaks of a mother with straightened hair who was raising her beautiful daughter with natural hair. She spoke of how her daughter was being teased at school every day and wanted to have hair like her mom’s. At some point, this loving mom was touched by her child’s pain and made a decision that I wish more moms would consider. She decided do the “big chop” in support of her child and began to wear her hair naturally! We have to teach our kids by example, and they need to know that they are beautiful as is. We can speak it all we want but we are not showing it if our go-to style is always silky straight. They know better; they know when we don’t believe what we say. I want more for my daughter than that. And I want more for your children, as well. That’s why wrote I’m Proud to Be Natural Me! Let’s lead by example: drop the weaves and lace fronts. Those styles are destroying more than just our hairlines; they are killing our children’s self-esteem. Let’s commit to loving ourselves openly before our children. If we don’t teach them, who will? Marlene Dillon is the author of I’m Proud to Be Natural Me! 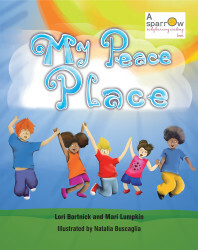 a beautiful picture book that teaches children to embrace their natural beauty. It is her passion to empower children and their parents with the message that “we are ALL beautiful as is.” I’m Proud to Be Natural Me! is available on Amazon, click this link to visit the site. For bookings and to order books for your store, please email improudtobenaturalme@yahoo.com. Amazon Review of I’m Proud to Be Natural Me!